I somehow managed time to answer CEED 2016 question paper (exam 1). Hope you find this post useful. Surprisingly most of the questions covered UCEED syllabus like paragraph comprehension etc. So, like I usually suggest, you may consider practising both CEED and UCEED previous papers and Mock tests. The solid is symmetry in front and back sides but not in sides. Apart from the given 4 patterns, the following seven patterns (exclude pattern 10) can be obtained as shown in the figure. 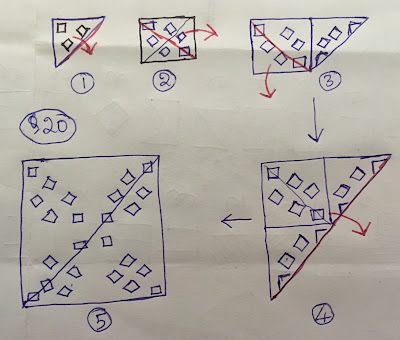 Edit: Patterns 9 and 10 has to be considered same as it was mentioned in the ques that flipping or rotation is allowed. 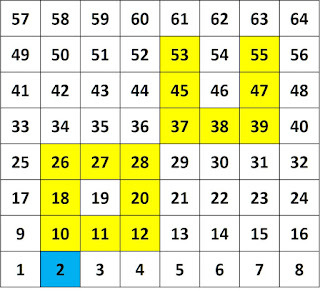 Below image shows the patterns and the number of times they are repeated. 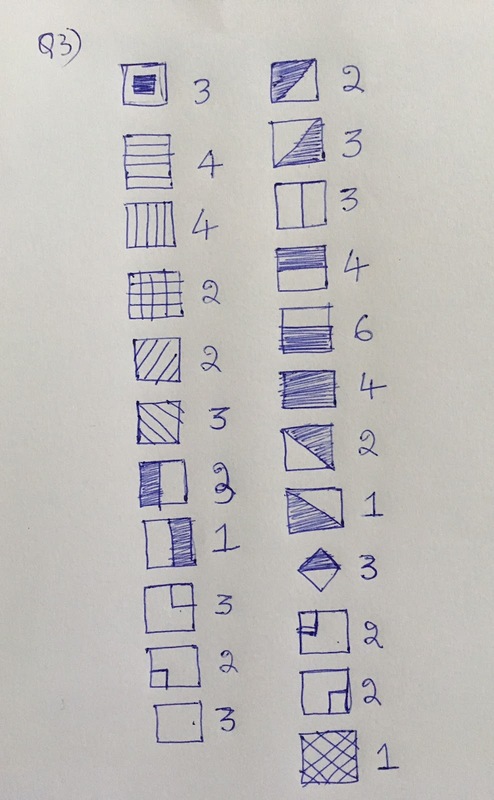 Either go row-wise or column-wise to prevent recounting the squares. Use the bigger rectangle as a reference to avoid confusion. I'm not getting this question. 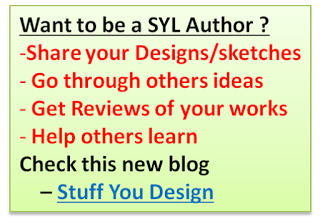 I can share the below links so that you can figure it out. The below picture shows the hidden words. I hope you can figure this out. A and C doesn't fit the statement. stat 2 - All logos are abstract visuals. stat 3 - All photographs are non-abstract visuals. Both the statements imply that logos and photographs are two opposite things for they are abstract and non-abstract respectively. So, Options A and B are a good fit. Options C and D are contradicting the statements. D doesn't seem to support the reason for keeping full or near full tank. According to D, it means that either full tank or non-full tank has the same effect on the fuel efficiency but it is not recommending the reason for maintaining the full tank. Mirrors used in automobiles are designed such that they show small images than enlarged images so that the driver would get a better and wider view. He would get a clear view of its left and right.Say the object is very near to the vehicle, then without any magnification, the object would appear big in the mirror, making it difficult to see the status of occupancy or position That's why I believe the mirrors were made to show smaller in size. Below figures show the explanation. Numbering the symbols 1,2,3,4,5,6, The patterns in A,B,C,D are as shown. Assuming that A and B cubes are correct, B is obtained by rotating A twice in the clockwise direction such that no. 1 is in the same face. If we did so, it means the position of both 2 and 3 are turned twice in clockwise. This is shown in Fig. 1. 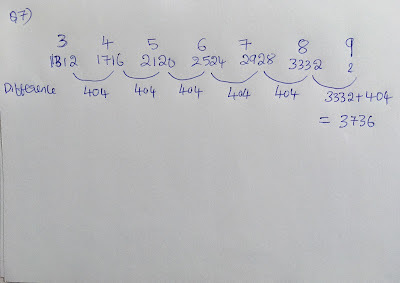 The numbers 2 and 3 are marked. Now the only number left is 6, which should be on the back surface as marked as S1 shown in Fig.1. So, the invisible surfaces on the back are 2 and 6. 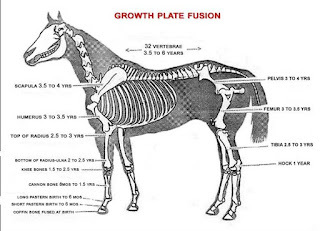 Figure 2 shows the back side parts neglecting the front 2 surfaces 1 and 5. Option C is just a turned view of Fig 2 as you can clearly see. In Fig.1, when the surfaces numbered 1 and 5 are horizontal, surface 3 should be on the bottom. But in D, it is shown as top and hence it is wrong. Had the case the cut was made as shown in figure 1, the option would be C. Because the cut is happening diagonally and the cut portion will be symmetrical on the diagonal at the centre. Cut in the centre will have a higher width and it goes on decreasing till the top/bottom. But, the cut shown in the figure is not diagonally but is curved. And the curve is bent to the right bottom. The points where the central axis and the cut is meeting (on both sides) is not at the central height but below it as marked in figure 2. So, the maximum width of the cut would somewhere at X-X. The joining at the top should be sharp since there will be no curve. Unfold in the reverse order of folding. Each time mirror the holes along the axis of the unfolding edge as shown in the figure. Delhi-Thiruvananthapuram is the longest distance, so it should come in the last. The distance between Kolkatta and Bengaluru is lesser than the distance between Ahmedabad and Guwahati. Match either row wise or column wise. Say, I chose column-wise, for every column in the black pattern, I align magenta coloured squares in the second pattern alongside the first. By doing so, it will be seen that A and B are almost same except for the difference in 5th row 3rd and 4th column. It is clear from the below image that the landings are a slant. And the thickness of the alphabets is equal. Also, the curves (as shown in the below figure) and the round of the alphabet (na) matters. 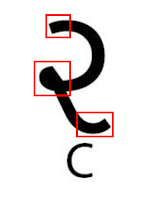 Only C satisfies the font style. Twinkling happens because of the turbulence in the atmosphere. Because of the turbulence, the light from the star is refracted in different directions. It's very clear by observing the front leg and the position of the bat. Regardless of the number of pulleys (say thousands), the length of the top that lifts is equal to the length of the rope pulled by the vehicle. Based on the fact that the length of the rope remains same. Had the case any of the pulleys are moving, the answer would be different. By going through them all, you can check the difference of the style that each follow. Clearly, 2 is the best one which offers easy accessibility from one entity to the rest. 4 is the next easy one. And, 1 and 5 offers the least accessibility from one entity to another. 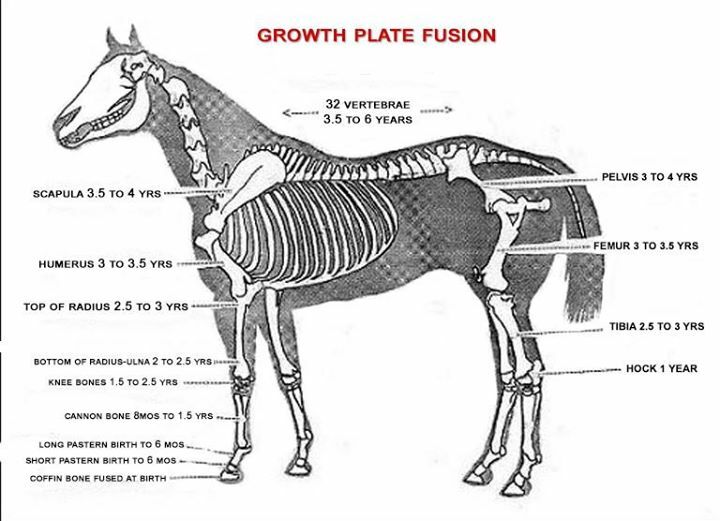 Here is an image that will help you figure out the bone links. Rob Janoff is the designer of Apple logo. The bite out of the apple was made so that people did not mistake the apple for a cherry or another fruit. Kanji are the adopted logographic Chinese characters that are used in the Japanese writing system. They are used alongside hiragana and katakana. The Japanese term kanji for the Chinese characters literally means "Han characters". It is written with the same term and characters in the Chinese language to refer to the character writing system, hanzi. Jiaguwen (Oracle bone script) was the form of Chinese characters used on oracle bones—animal bones or turtle plastrons used in pyromantic divination—in the late 2nd millennium BCE, and is the earliest known form of Chinese writing. Some 1080i high definition cameras can record at 50 frame rate. In ques 2, fig 9 and 10 aren't same as that of given in the example 4(a,b,c,d) ?? 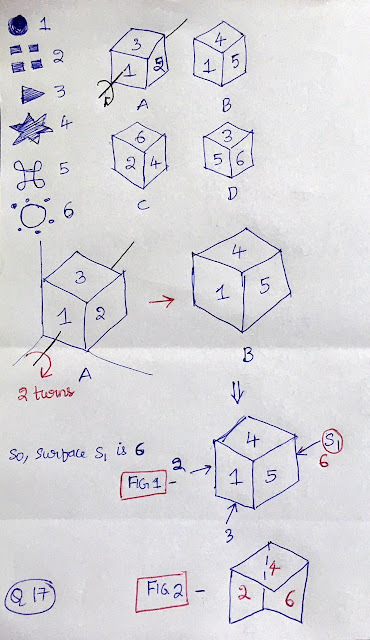 Good Morning Sir,Part-A solutions explanations was superb i understood it well.It would be great if you could guide for Part-B solutions.This time Part-B was full of interesting and challenging questions,any rough sketches for the same will definetely gonna help. part B sample ques are available here including few solutions. In future, i will try to add more. In question number 2 - 9th & 10th option are same figure so we don't count as different. In question 6, I don't think COM should be counted as a word. The missing word in the pic is BAN; in the first line. hello Sir, In question No 2 I have a confusion ... Is not the shape 9 & 10 are similar? Can you please explain..
hello Sir , In question number 6th hid is also there....past tense od hide , will it be counted ? 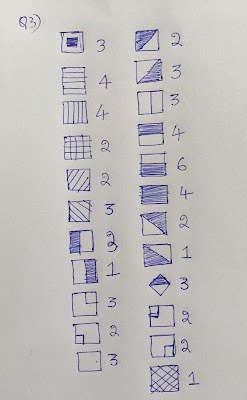 9 & 10 shapes are same you just need to flip and rotate one to get the other. Hi Sir, I just wanted to know for question no. 2, isn't fig.9 formed by flipping fig.6? 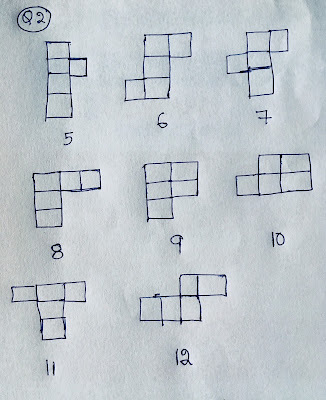 9 and 6 are two diff patterns. So, it can't be. Thanks for the solutions. 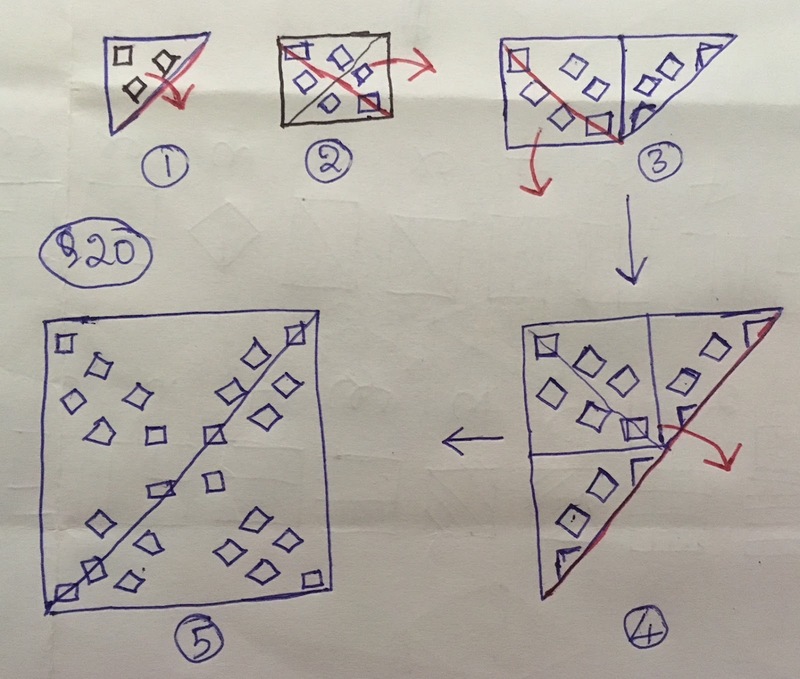 From question 2 the solution has 2 same figures 9th and 10th but the question says you can't use a same figure just rotated. BAN is also a word(first row). what is the meaning of COM? Yeah, I guess I forgot BAN, anyway by COM i meant 'communication' short form, we use .com right. The image and the sequence that I gave for Q8 is the most detail one. I don't think I can explain better than that by way of blog! 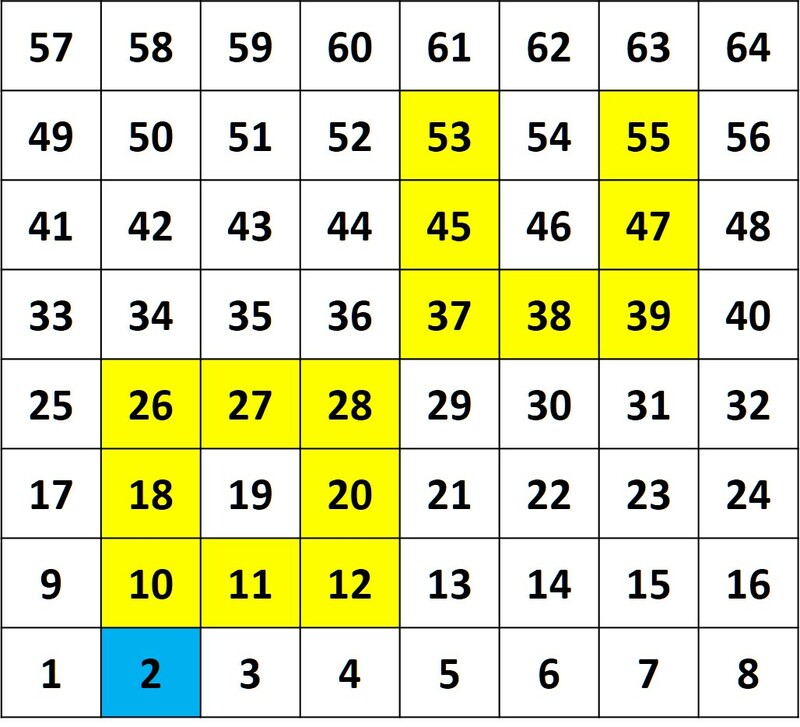 Just follow the number sequence that I gave and find the numbered positions in the grid, marked as yellow color. Q7 solution that u gave is very interesting. I have only checked the first number and yes it works. Thanks for sharing the alternative idea. The most common way is to check the two series first - arithmetic progression and geometric progression. 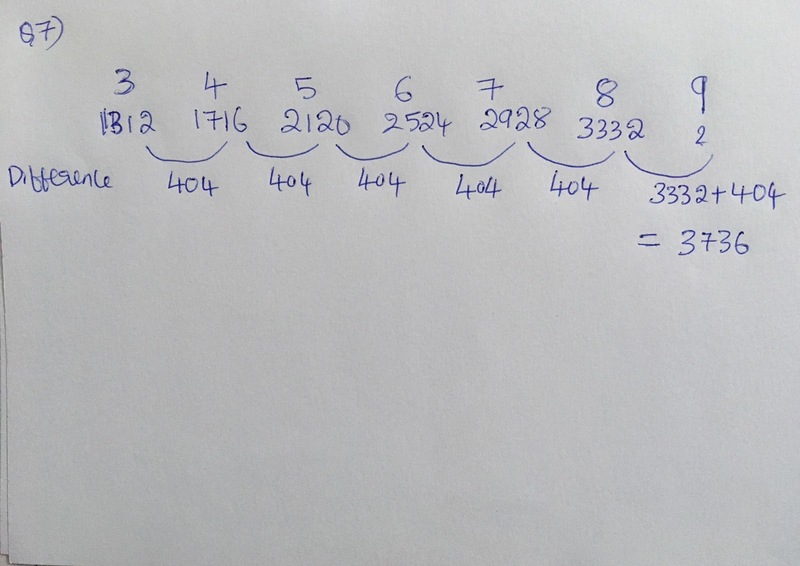 Thank you for your uploads for every year answer key of part A. In question 1, shouldn't the surfaces from bottom be 12? 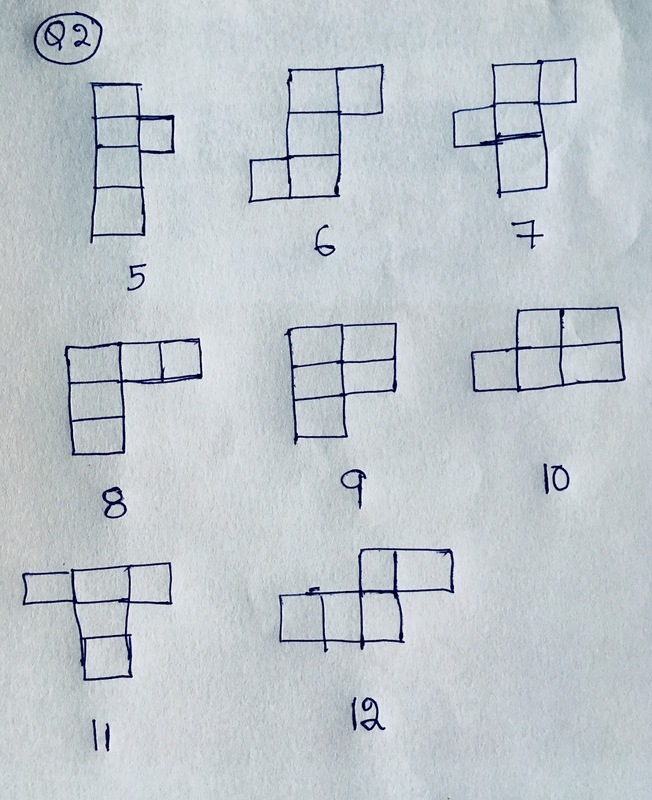 in question 2, the figures 9 and 10 represent the same pattern, only the orientation is different. So shouldn't they be considered the same? While going through previous question papers, I came across a question where different objects are given and creative items are to be created (changing scale and dimensions are allowed). Can we use them in multiple and cut them to get desirable shape (like cutting the cone into two and using 1 half to stick on a flat surface to make Pen holder or something... I hope you get what I mean), as sometimes it's not mentioned (that cutting and bending the objects is allowed). UNless specified to not use any other medium other than the one mentioned in the Q, yes, u can use other addons like wire, paper etc. but cutting might not be allowed and most importantly, you are expected to make some creative idea only using those objects. It's like u r given physical model of the objects for u in a isolated room and asking u make some idea, would the addons or multiple usage feasible? Is there any formulae for question number 2,in case we get similar question may be we can easily do,it is related to probability only right? You missed the word "cun" in the question 6. Cun is also a word. Com cant be a word as it's an abbreviation and not a word. Question 5's answer is 270 degree probably. Where is that link for mechanical ability? I can't find it.